The Federal Motor Carrier Safety Administration states that truck drivers who choose to text and drive are 23.2 times more likely to cause a safety-critical event, like a crash, near-crash or lane deviation than their counterparts that do not text and drive. 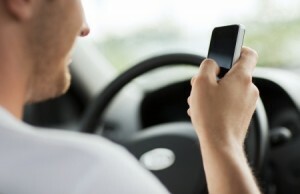 In 2011, a restriction was placed on all handheld cellphone use for truck drivers by the FMCSA. Despite these laws, many truck drivers decide to engage in distracted behaviors and endanger the lives of others on the road. According to the U.S. Department of Transportation, 500,000 truck accidents occur annually and approximately 5,000 of these accidents are fatal. Although any type of accident involving a distracted driver has the potential to be dangerous, accidents caused by distracted truck drivers are particularly hazardous due to the weight and size of these vehicles. A typical, fully loaded commercial truck, like a dump truck or big rig, can weigh up to 25 times more than a normal passenger vehicle. Additionally, distracted driving accidents can be worse when a truck is involved due to the cargo many of these trucks carry. For example, a truck hauling flammable or hazardous materials, such as industrial waste or gasoline, can result in secondary injuries for the victims involved. In order to collect compensation for damages and injuries, truck accident victims should identify as many liable parties as possible other than just the distracted truck driver. In many cases, employers, insurance companies, the trucking company and contractors may be required to compensate the accident victim for their injuries. Additionally, accident victims must also be able to prove that there was an employment connection between the trucker and their company. In order to do this, accident victims should be able to show that the distracted driver was acting under the authority of the trucking company when the collision occurred. For example, perhaps the driver was using a dispatch device and lost control of the truck. Proving that a truck driver was distracted and that the trucking company should be held liable can be difficult. Those injured in a trucking accident can benefit from working with an attorney who can assist them with this process.